​You've trained your body. It's time to train your mind! Elite Sports Hypnosis is located in Tampa Florida. We specialize in hypnosis and mental performance coaching for athletic performance. and help all levels of athletes from amateur to pro. We offer in-person and remote sessions if you are outside the Tampa area or travel for your sport. "Hypnosis is legit and I wish I'd done it sooner. Immediately after my first hypnosis session with Elite Sports Hypnosis I could see and feel a difference in myself. I feel like this not only helped my career but also saved it." Listen to Carlton talk about how sports hypnosis helped him on Canada's ESPN radio station TSN here. Great athletic performance begins in the mind. Your mind is supremely powerful. Whatever you believe on a subconscious level will be true for you, no matter if it has a basis in reality. A mental performance coach can help you learn to harness the power of your mind with sports hypnosis, you are able to clear the path for ultimate athletic performance whether you are into elite fitness, a professional athlete, or just beginning. 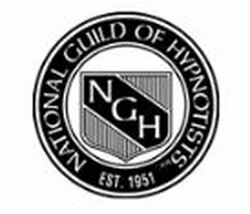 Hypnosis, like sport psychology, is one of the most effective ways for you to tap into the power of your mind to achieve the results you want. It is a powerful supplement to your personal training and fitness regime, whereby you develop mental core strength. Athletic performance is just as much mental as it is physical. Top athletes know the importance of mental conditioning and sports performance hypnosis. Many elite and professional athletes use the power of hypnosis and sport psychology, including self hypnosis, for peak sports performance as an effective supplement to their physical training. We work with elite, professional and major league athletes to help them get, and stay, on top of their game.